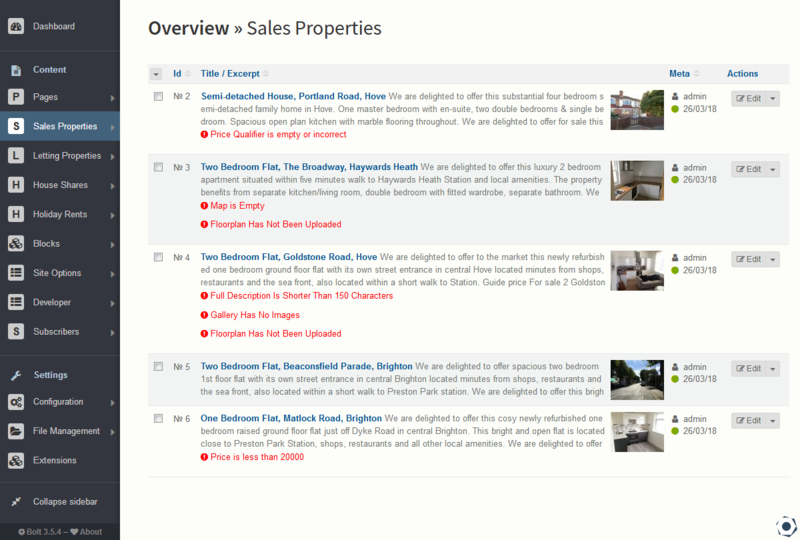 This is a simple extension which adds customisable warnings to the listing page of the admin area and the dashboard. It was made partially as an alternative to required fields, allowing a record to be submitted without certain fields filled out. The extension will check if a flagged contenttype contains any content and will trigger a warning if not. Additionally, comparisons can be added, allowing a field to be flagged only if the data within does not meet certain specifications.